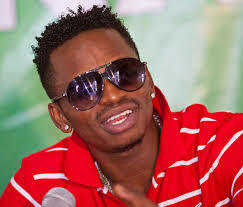 Its with no doubt that diamond Platnumz is one of the richest Musicians in the continent of Africa. Diamond is known for his lavish lifestyle and changing guzzlers just like how you change your socks every morning. Diamond has been in the lime light for a while now since he became a dad and has been posting photos almost every day of his young daughter Tifah and he is not shy to flaunt around the world that he is a dad. This time round he has gone too far and decided to show his fans what he is worth. 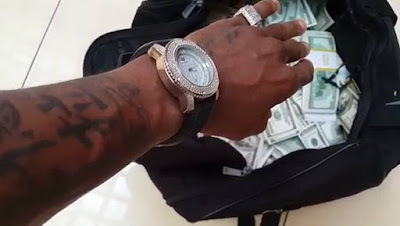 Diamond posted a photo of a bag full of US dollars and a diamond Wrist watch.